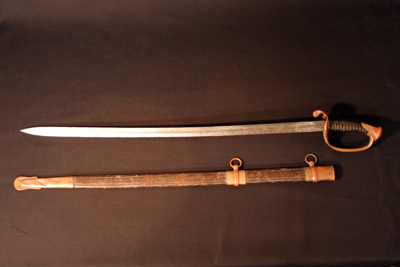 As the second most widely used infantry weapon, over 900,000 British Enfield weapons were imported and used during the war. 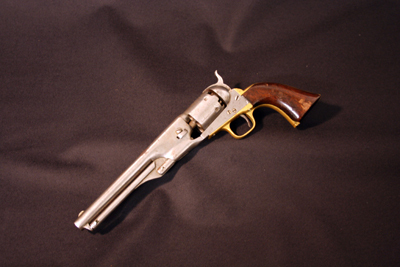 Colt revolvers with calibers of .36 and .44 were the most commonly used handguns during the Civil War due to their effectiveness and reliability. 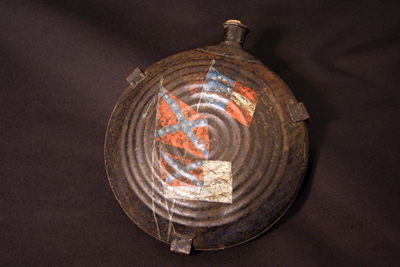 Bulls eye design with painted flags, used by Confederate Lieutenant Edward Wooten. 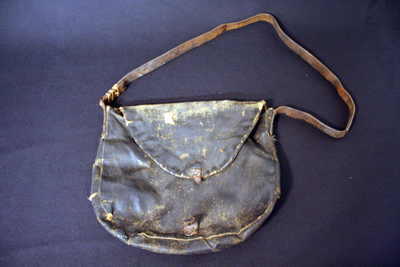 This tarred haversack belonged to Thomas Benbury Haughton, Chaplain of the 50th NC Regiment. Haughton was paroled in Greensboro, NC May 1, 1865. 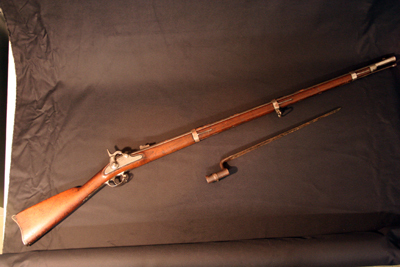 Attributed owner William Nixon organized the “Perquimans Beauregards” and later acted as chairman of the committee established to resolve issues between local citizens and guerilla activity in the area. 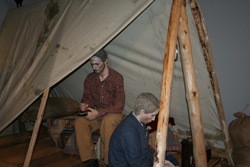 Living quarters in camp were often crude buildings made from barrels or wooden sticks daubed with mud while roofs were fashioned from canvas tents or split logs. this scene depicts camp life on the Outer Banks of North Carolina.